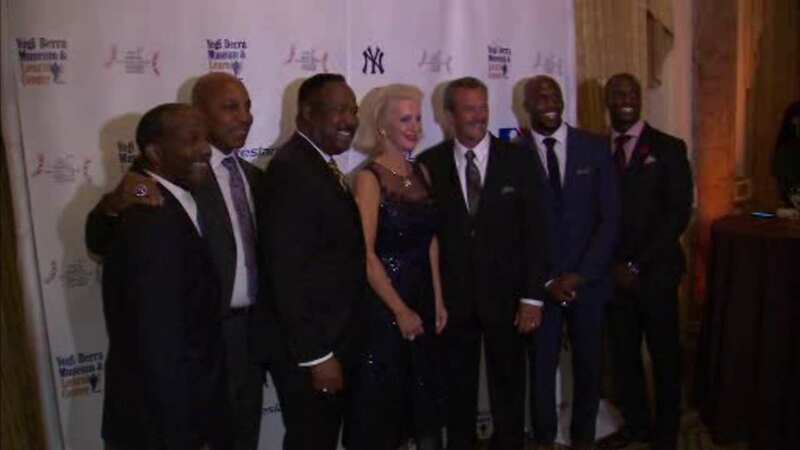 NEW YORK (WABC) -- The first ever Yogi Berra Museum awards kicked off Friday night, on what would have been the baseball legend's 92nd birthday. It was a packed house at the Plaza Hotel. Former NFL Quarterback Boomer Esiason and actor Robert Wuhl co-hosted the event. The museum honored individuals, specifically former and current athletes, who they say embody the qualities that made Yogi an American icon. The humanitarian award recipient went to the McMullen Family Foundation.